The University of Mississippi Libraries includes the John Davis Williams Library (191,261 sq ft), the Science Library (10,890 sq ft) which is housed in the Thad Cochran Natural Products Center, and an Annex building (15,200 sq ft), housing the Modern Political Archives and low use materials, which is located across the street from the Science Library. The Williams Library and the Science Library are open to the public while the Annex is closed to the public; materials are retrieved for users. 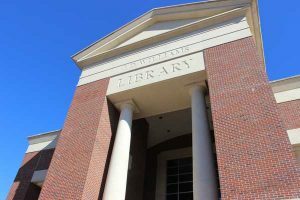 The Williams Library is the general library for the University community, and houses the main collection of books, periodicals, microforms, manuscripts, government publications, audio visual materials, and maps. The three library facilities hold 1,725,944 books and 41,257 periodical titles. The Libraries also provide access to over 460 electronic databases and 90,460 electronic journals and 304,866 electronic books. 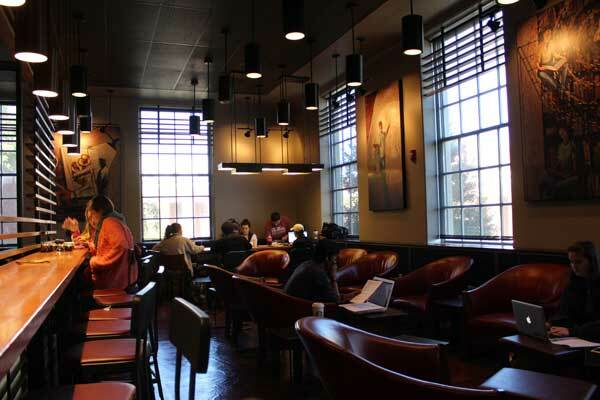 The addition of a Starbucks coffee shop and soft seating to the Williams Library has improved how the users view the Library as a place. Over 150 public workstations are available in the libraries. 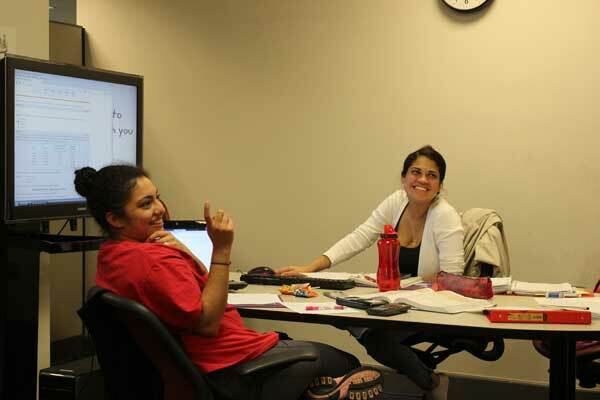 In addition, both the Williams Library and the Science Library offer free wireless access. The Libraries include eight staffed service points, and they are open 192 hours/week during the regular semesters, and they offer 24/7 service for finals, the last three weeks of each regular semester. In addition to traditional circulation and reference service, the Libraries also offer email and chat reference service. The Library has been a depository for U.S. government publications since 1883 and is one of only 50 regional depositories in the nation. The Government Information and Media Service Department holds 3,670,000 items, including print, microforms, maps, and electronic media. The Department also receives Mississippi state documents. The Library has a range of audio visual equipment to support the collections. In addition to six microform reader printers, the Libraries also have two microform digitizers. The Department of Archives and Special Collections houses one of the world’s finest collections of books, manuscripts, and memorabilia devoted to William Faulkner. The Mississippi Collection, a part of Archives and Special Collections, contains more than 46,000 volumes and 700 manuscript collections of Mississippiana. Exhibits of interest to students and the general public are regularly presented by the Department of Archives and Special Collections. A number of these exhibits as well as selections from printed catalogs are now also online. The Blues Archives and the Visual Collections are newer additions to the Department of Archives and Special Collections. With over 50,000 sound recordings, the Blues Archives houses one of the largest collections of blues recordings, publications and memorabilia in the world. Among its other Mississippi related collections, the Southern Media Archive and Visual Collections hold the Martin Dain and J.R. Cofield Collections of William Faulkner photographs, one of the largest collections of Faulkner photographs in the country. In July 2004, Archives received over 7,000 linear feet of congressional and legal collections. This newest collection, the Modern Political Archives, is housed in the Annex building. All other archival collections are housed in the Williams Library. Archives staff have also begun digitizing selected collections from across the different areas. Upon receiving the library collection of the American Institute of Certified Public Accountants (AICPA) in August 2001, the J.D. Williams Library became “the library of the accounting profession.” Numbering over 129,000 volumes, the collection includes rare incunabula as well as copies of every item cited in the Accountant’s Index since its inception in 1923. Reference staff and graduate assistants offer specialized reference assistance not only to the university community but also to AICPA members. The Libraries have also begun digitizing selected historical documents, including the Accounting Historians Journal and exposure drafts of the AICPA. The Science Library in the Thad Cochran National Center for Natural Products Research Building serves primarily students and faculty in the School of Pharmacy and the Department of Chemistry. The Library holds more than 65,108 volumes and receives approximately 458 journals devoted to pharmacy, chemistry and related science reference materials. Circulation, interlibrary loan, reference and instruction are offered at the Science Library.